M – F: 6:00 a.m. to 4:00 p.m.
Free Coffee Every DayFree Customer Appreciation Lunch – Every 3rd Wednesday of the month! 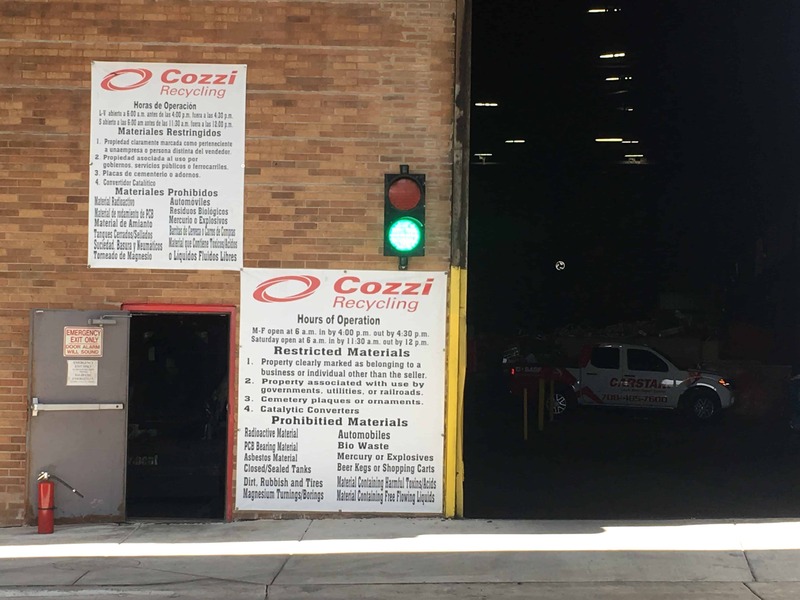 M – F: 6:00 a.m. to 4:00 p.m.
Cozzi Recycling is proud to have served greater Chicago’s metal recycling needs for more than 70 years with our renowned services focused on scrap metal buying, pick-up services, and drop-off options. Our reputation throughout Chicago and its surrounding neighborhoods is one of premier service, accuracy, and fast and fair payments. If you have metal recycling needs, call us now see what Cozzi Recycling can offer. We offer scrap metal pick-up and container drop-off services to Addison, a village located west of the Chicago Metropolitan Area, in DuPage County. Addison is home to several manufacturing plants with commercial, industrial, and military applications. Located in Cook County, Franklin Park is home to several manufacturers of aerospace components as well as a few precision machining facilities. Located approximately 3 miles from our facilities, Franklin Park is easily accessible for scrap metal pick-ups or drop-off no matter what industry you are in. Northlake, which is named for the two streets, North Avenue and Lake Street, is located just south of Chicago O’hare Airport, nearby our Bellwood Cozzi Scrap Yard. Northlake is home to several manufacturers of high-quality industrial chemicals. The village of Westchester, which is located a few miles south of our Bellwood Metal Recycling Facility, is also located in Cook County. Westchester shares in Cook County’s portion of more than 18,000 plants serving the manufacturing sector. Oak Park is a village adjacent to the West Side of Chicago, located just under 3 miles away from Cozzi Recycling Facilities. Growth of Oak Park was spurred in the early 20th century by railroads and street cars connecting the village to Chicago. Oak Park is synonymous with manufacturing, including plating and metal finishing. The suburb of Bensenville is located in both DuPage County and Cook County. Bensenville is headquarters to Chicago’s premier commercial plumbing and site utility fields’ contractor, one of the largest foodservice distributors in the country, as well as several trucking outfits. No matter what your metal recycling needs are, we offer pick-up services and are conveniently located minutes from Bensenville for your scrap metal drop-off needs. Lombard is a suburb in DuPage County, which is home to more than 44,000 people. It boasts several industrial industries, including several manufacturing plants and metal fabricators. 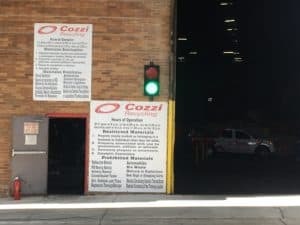 Cozzi Metal recycling is located just east of Lombard making it the ideal location for scrap metal recycling near you. Riverside is a small suburban village in Cook County located along the Des Plaines River. It is home to one of the area’s largest automated manufacturing plants in the area. We offer scrap metal pick-up and container drop-off services to Riverside. Located near our public metal recycling center in Melrose Park, it is convenient for metal recycling self-drop off. Rosemont is positioned between O’Hare International Airport and the rest of the City of Chicago. Much of the village of Rosemont is occupied by large hotels and office buildings, due in part to its proximity to the airport and Downtown Chicago. Located in Cook County, the city of Berwyn comprises an area of just under 4 square miles which borders the city of Cicero. Although Berwyn is known as the City of Homes due to its high number of residential homes, it contains four primary business corridors, including Ogden Avenue, the Depot District, Cermak Road, and Roosevelt Road. The village of Norridge, located just west of Harwood Heights, is on a ridge that divides the Chicago River valley and the Des Plaines River valley. The area is specializes in manufacturing, Transportation, and Warehousing, making it a great area to offer both metal recycling pick-up and drop-off. Located in the northeastern corner of DuPage County, in the heart of the O’Hare Corridor, is the suburb of Wood Dale. With 9.2 million square feet of existing industrial space and over 800 private businesses, Wood Dale is a thriving industrial economic area that we are proud to serve. Just 5 miles west of our metal recycling facility is the neighborhood of Elmhurst, which is part of both Cook and DuPage County, spanning just over 10 square miles. Cozzi Recycling offers frequent pick-ups to many industrial clients in this area. Situated between Elmhurst and Lombard is the village of Villa Park, spanning just under 5 square miles. Villa Park was established when Ovaltine situated its factory there in the early 1920s. It hasn’t changed much since, still calling manufacturing the second biggest industry in Villa Park next to retail trade. Home to our full service scrap metal recycling yard a warehouse, Bellwood is easily accessible by the bordering Eisenhower Expressway. One of the largest industries in Bellwood is manufacturing, making it the perfect community for our metal recycling headquarters. St. Charles is a city in DuPage and Kane counties, with a thriving commercial and industrial area that straddles the Fox River. St. Charles is home to several global transportation providers, manufacturers, and factories, making it a premier partner community with Cozzi Recycling. Elk Grove Village is a village adjacent to O’Hare International Airport. It is one of Chicagoland’s principal villages due to its large industrial park, located on the eastern border. The Elk Grove Village Industrial Park is the largest industrial park in the US with over 62 million square feet of space, which houses a broad range of industries, including manufacturing, technology, retail, health care, warehousing, and logistics. Cozzi Recycling is proud to serve the community of Elk Grove Village. Located less than 5 miles from our full service metal recycling yard and warehouse and our public metal recycling center, is the village of Schiller Park. The number one industry in Schiller park is manufacturing, which is home to several tool manufacturing companies, custom metal stamping outfits, and machine shops. We are conveniently located for scrap metal drop-off or pick-up services in Schiller Park. To learn whether Cozzi Recycling services are available in your area, call us today.